A play that changed the face of modern theatre and made Harold Pinter's name, The Caretaker remains one of Pinter’s most famous works. Featuring original production cast members Donald Pleasence and Alan Bates, the film adaptation is sensitively directed by Clive Donner (Here We Go Round The Mulberry Bush) and was shot by Nicolas Roeg. Whilst renovating his dilapidated home, Aston (Robert Shaw) invites an irritable and devious vagrant (Donald Pleasence) to stay. But, when his ill-tempered brother Mick (Alan Bates) returns, an ominous yet darkly comic power struggle between the trio commences. This study of shared illusion, tragic dispossession and the fraternal bond of unspoken love, combines mesmerising performances and the magic of Pinter's dialogue into a spellbinding film. 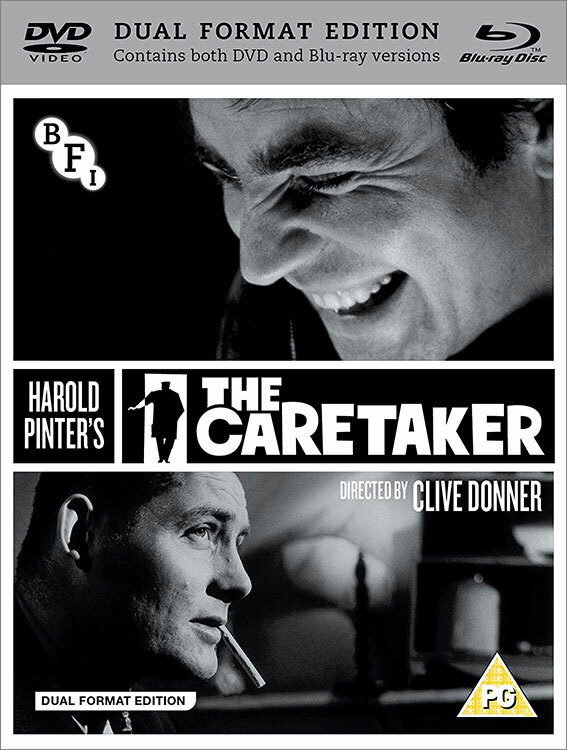 The Caretaker will be released by the BFI in a Dual Format Edition on 15 April 2019 at the RRP of £19.99, presented with a variety of extras, and on iTunes on 29 April.